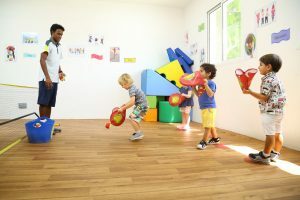 With world-class facilities and amenities, HKIN ensures utmost professional nursery services for families living at Al Mouj Muscat aiming to provide peace of mind for parents in terms of their children’s safety, learning and development. The nursery currently consists of 130 students from 15 different nationalities with 60 new enrolments for this year, while it can accommodate up to 175 students. As it is always hard for every parent to be separated from their little ones for long periods of time, HKIN offers a school readiness programme, Arabic language sessions, educational afternoon clubs and parent workshops to ease the transition. It also operates with extended hours and flexible timings to better suit busy parents. 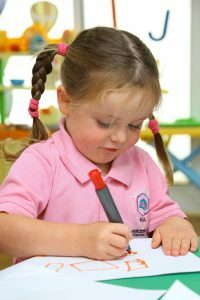 Horizon Kids International Nursery has been a family favourite in Al Mouj Muscat community since 2014. 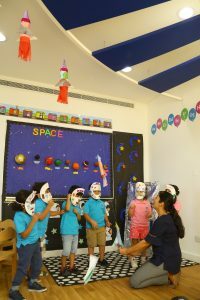 Welcoming children aged between 6 months to 4 years of age, the nursery follows the Early Years Foundation Stage Framework under the supervision of Oman’s Ministry of Social Development. Working in partnership with families from the neighbourhood, HKIN endeavours to ensure that every child reaches their full potential and grows into a confident young individual.